This June the US Department of Defense (DOD) is reviewing the total number of F35s it will purchase. According to a report released by the National Security Network, the DOD plans to purchase and operate nearly 2, 500 aircrafts costing US around $1.4 trillion. In light of that, analyst Bill French wrote a report titled “Thunder without lightning: high cost and limited benefit development program of F-35,” reviewing the new aircraft. The document states that according to the technical parameters the F-35 is “losing to the fourth-generation fighter MiG-29 and Su-27, developed by the Russian Air Force and used around the world.”The Soviet MiG-29 and Su-27 fighter aircraft are superior in technical performance than the new US fighter aircraft F-35. The conclusion was reached by the American analyst Bill French, working for a non-profit organization National Security Network. Besides, all of the F-35s have significantly lower maximum speed as compared to the Soviet Union aircrafts. According to him, in 2009 the analysts of US Air Force Intelligence and the Lockheed Martin Company, which developed the new American fighter, noted that despite the superiority of the F-35 in regard to stealth technology and avionics, if compared to the Su-27 and MiG —29 the loss ratio is to be expected 3: 1. That is, for each destroyed Su-27 or MiG-29 there would be three F-35 destroyed. Also, in a real educational dogfight, a veteran in a US Air Force F-16 easily won over the F-35. 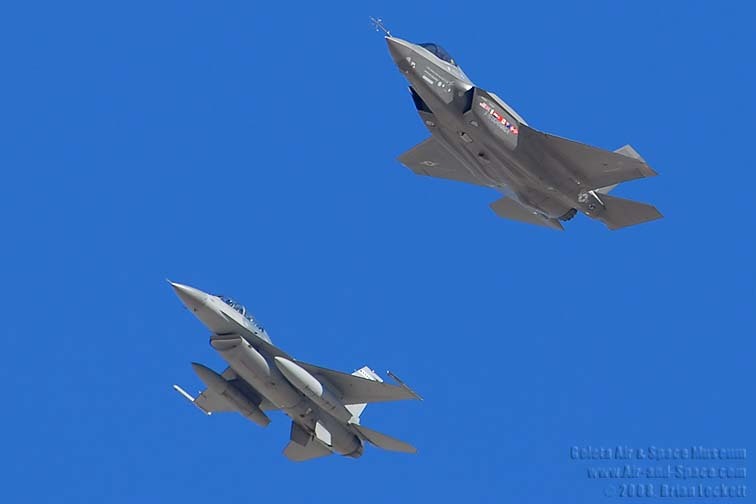 The latter clearly did not have enough maneuverability — the aircraft never managed to take a position for launching missiles or firing a gun, while the F-16 managed to catch opponent in sight at least 10 times. Earlier the problems associated with the F-35 were also noticed in Australia. News.com.au compared the F- 35 to the latest fifth-generation T-50 fighter. The portal noted, judging by the videos, the Russian aircraft significantly exceeds US maneuverability.